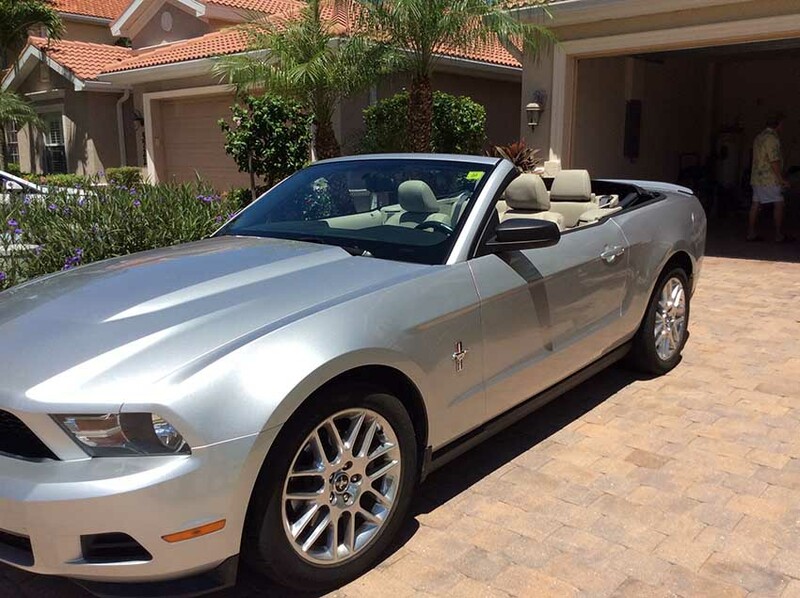 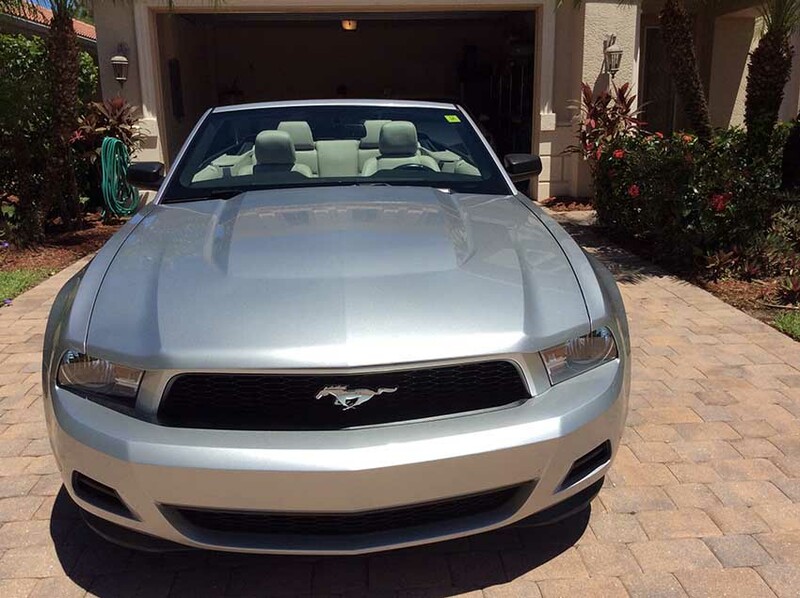 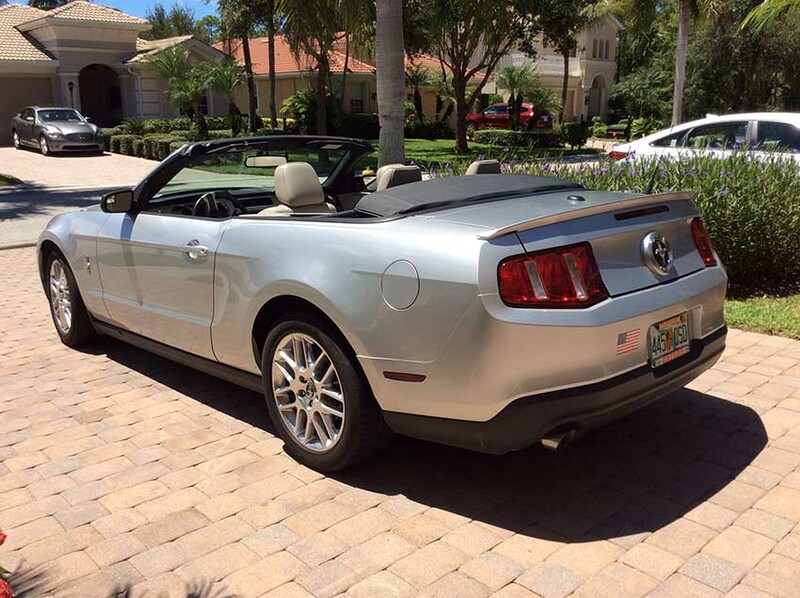 Silver 2011 Ford Mustang convertible automatic V6 For Sale. 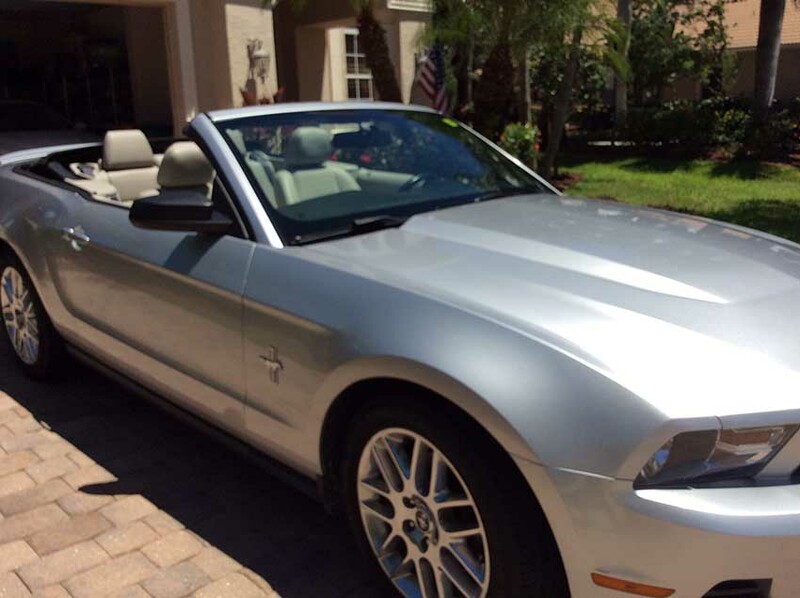 Mustang Convertible, silver exterior with beige leather interior, 55,000 miles, auto transmission 6 cylinder, regular gas, great condition. 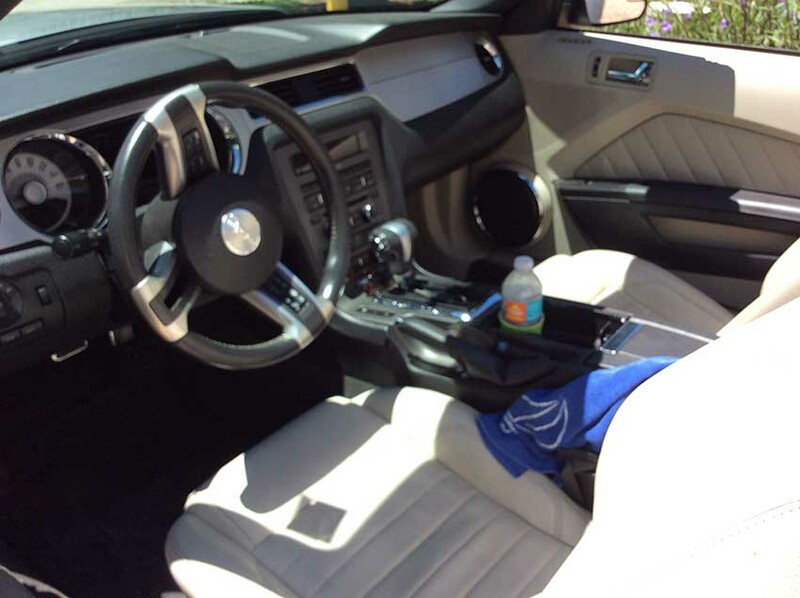 Have all service records. 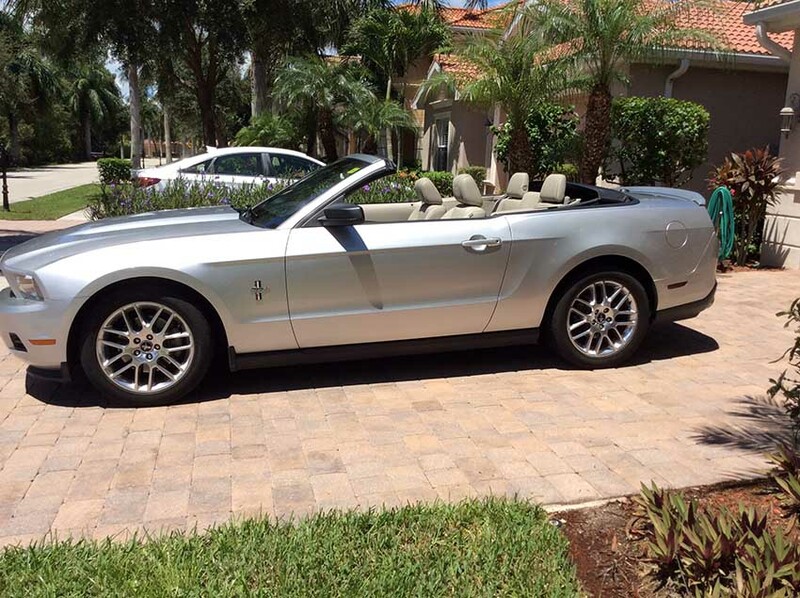 Contact phone – 239-269-6195 – Also, can send inquiry (contacting by email). 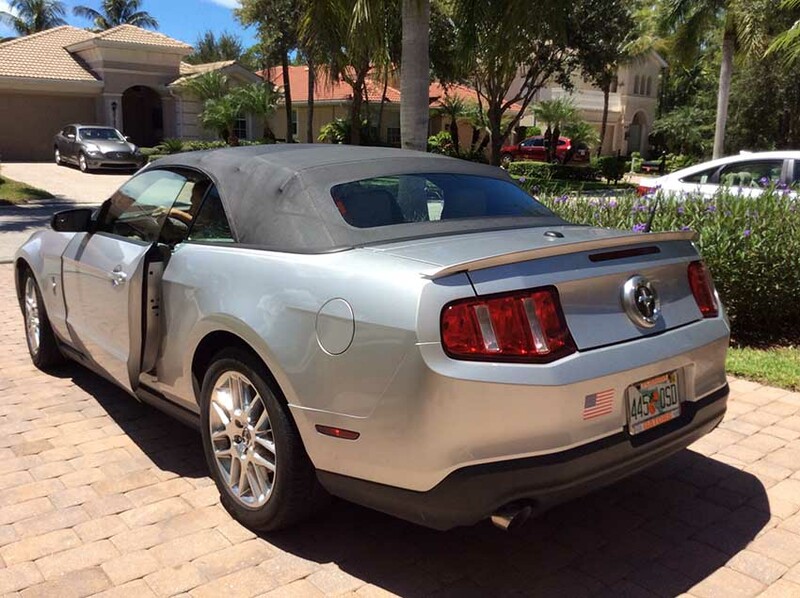 Car located in – Naples, Florida, US.